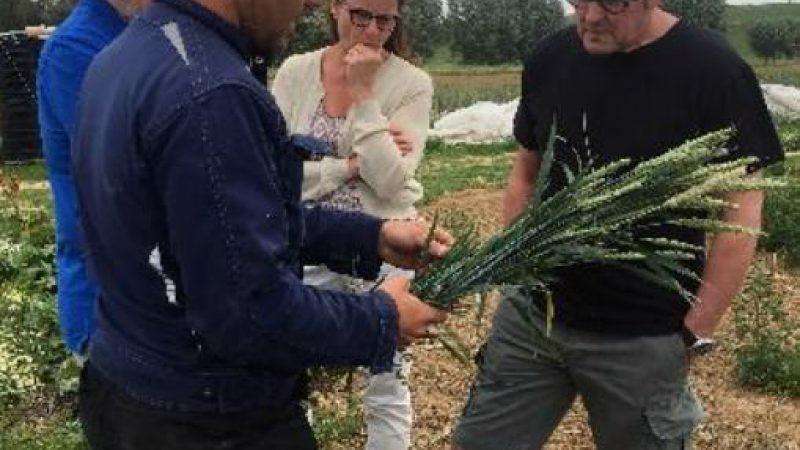 Three passionate professionals - an ecological farmer, a miller and a baker - are preparing to launch a new bread made from a purely organically grown summer wheat: EPOS. The organically grown grain is cleaned by Hubert De Weerdt at the Heetveldemolen. Jef Merckaert and his wife Noelle Mertens mill this grain for us at their water-powered turbine mill, which was recently fitted with a new milling stone. Together, Jan Andries and Daniël Bellemans make sure dat EPOS is a flavourful and healthy sourdough bread made from a heritage grain.